BACK ON THE MARKET!! 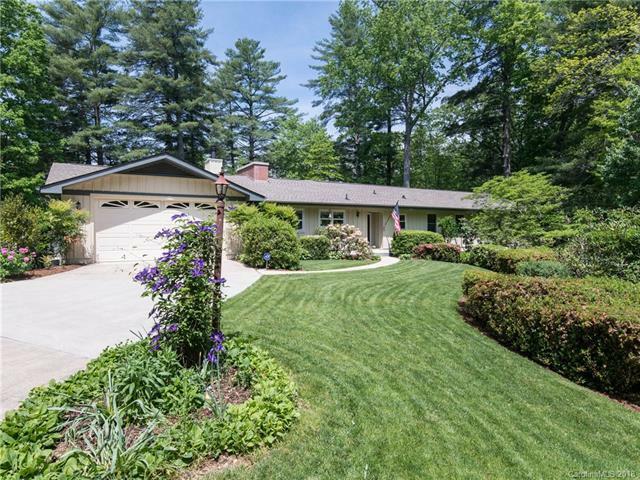 This home is sited on 2.5 mostly wooded acres with beautiful gardens in bloom. The natural landscape allows for low maintenance and privacy. Escape on a nature hike without leaving your own back yard. Enjoy the cool mountain air from your large deck or take comfort in your heated sunroom surrounded by stunning landscape and scenery. The home is designed for comfortable living with everything you need on the main level. The grand open spaces make entertaining large families and gatherings a breeze. Two bedrooms, office, large living room, dining room, kitchen, two fireplaces, sunroom with wall heat (not included in sq ft), oversize two-car garage. Roof was replaced in 2010. Bonus room being used as a 3rd bedroom, bath & craft area located on the lower level. Large unfinished area that could be used for storage or workshop. 2 outside storage buildings. Heating and Air was just replaced this year.